The proliferation of IP devices and applications have resulted in a backhaul bottleneck, where the channel size required to carry data efficiently exceeds the network's capacity. 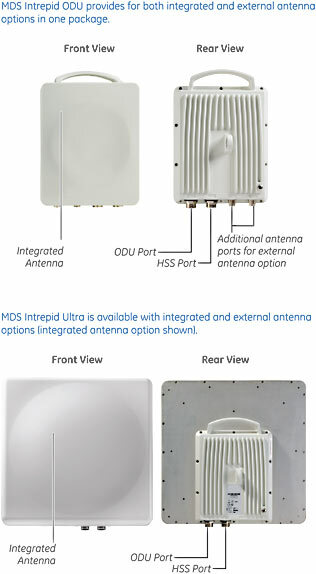 The MDS Intrepid™ and Intrepid Ultra combats this challenge by providing higher capacity (25 Mbps to 200 Mbps), reduced interference, Quality of Service (QoS) and simple deployment options. The Intrepid is offered as a split mount system consisting of an Indoor Unit (IDU) which contains interfaces and protocol firmware support, and an Outdoor Unit (ODU) which contains the RF and frequency-specific firmware. The ODU may be purchased with an integrated antenna or with external antenna connections. The IDU is offered in an industrial-grade enclosure or a more cost effective standard enclosure. Alternatively, a Power over Ethernet (PoE) IEEE 802.3AF option is available. The Intrepid Series has built-in interference combating technology to keep the over-the-air signal clear and strong, including Adaptive Coding and Modulation and Automatic Repeat Request. This, along with advanced Forward Error Correction for low overhead, minimizes the latency and the error rate, and is especially important for delay sensitive applications like Voice over IP. Both Intrepid and Intrepid Ultra can be used as a single point-to-point link from a central site using Hub Site Synchronization which synchronizes the transmission of collocated radios, reducing mutual interference. The Intrepid Series supports multiple frequency bands with the same hardware, making it easy to change frequency in the field without any new hardware. Frequency bands can easily be changed using the Link Manager, an easy, intuitive management and diagnostic tool. 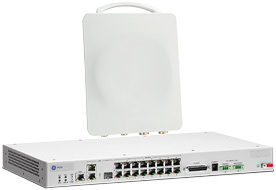 The Intrepid backhaul solution provides up to 25 Mbps full duplex/50 Mbps aggregate throughput. Featuring a wide range of options, the Intrepid is available as a compact IDU unit with two Ethernet ports and two T1/E1 ports, or as a 19" rack mountable IDU unit with two Ethernet ports and up to 8 T1/E1 ports. 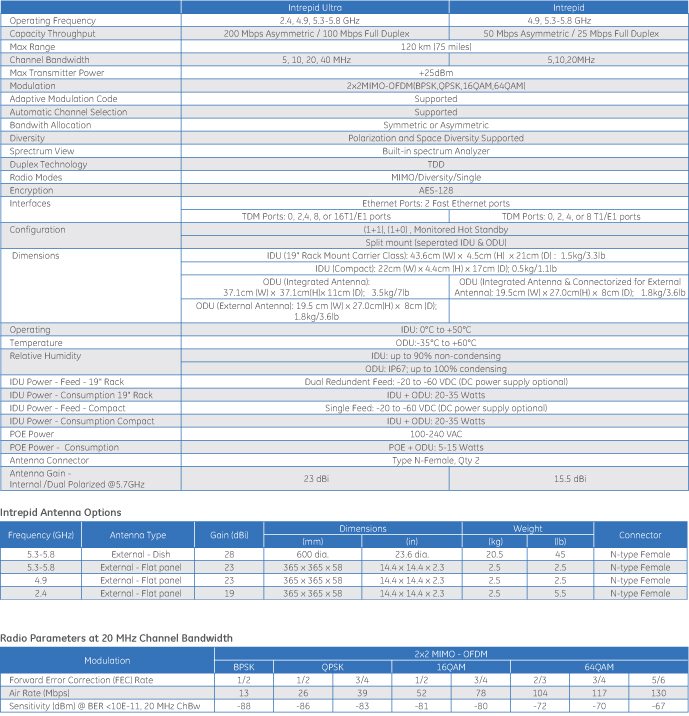 The Intrepid Ultra provides 100 Mbps full duplex/200 Mbps aggregate throughput, and is available as a compact IDU unit with two Ethernet ports and two T1/E1 ports, or as a 19" rack mountable IDU unit with two Ethernet ports and up to 16 T1/E1 ports.